Buttermilk, indeed, is a means to a variety of ends. It can be found in a whole lot of recipes. It can be used to concoct and make a great number of dishes. It can also just be simply drunk by anyone. It certainly, is one of the most flexible and versatile ingredients out there. This is why we are going to cover how to make buttermilk today quickly and easily. 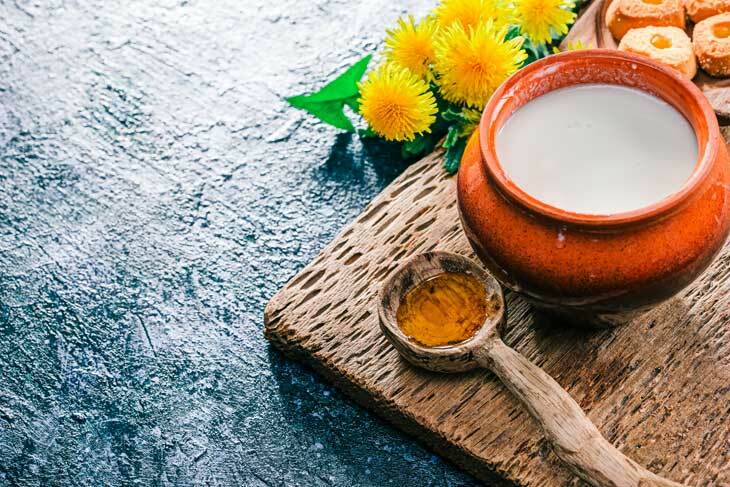 For these very reasons, perhaps, a lot of you are wondering how do you get your hands on buttermilk without spending money on the ones available in the market. Well, here in this article, allow me to teach you how to make buttermilk plus the answers to all the other questions you might be having. Buttermilk may refer to a number of things. First, there is what you call a traditional buttermilk. This pertains to the liquid that is left behind after the butter churns out of cultured cream. Aside from this, buttermilk may also refer to a series of fermented milk beverages. This is especially common in areas that are governed by warmer climates such as Pakistan and Turkey but also in certain colder areas like Germany and the Czech Republic. This is because in these areas, fresh milk that is left unrefrigerated may quickly turn sour. This is what you call a cultured buttermilk. Because of the increased acidity which is brought about by lactic acid bacteria, there is a certain tartness in buttermilk. Buttermilk has a number of functions which is one of the reasons why I consider buttermilk a very versatile and flexible ingredient. First of all, it can actually be drunk straight. But more importantly, buttermilk can be used in the kitchen as a cooking ingredient. Once used in the kitchen, buttermilk can serve as a number of things. First of all, it can add flavor to your meat. Buttermilk allows additional flavors to permeate all throughout your beef, pork or chicken. Aside from this, buttermilk is also used for marinating purposes. When buttermilk is used, your meat such as pork or chicken is tenderized. Lastly, the acid found in buttermilk can actually react with sodium bicarbonate which can be found in soda bread. When they react together, a leavening agent is produced which is carbon dioxide. Why do We Need Buttermilk? The reason for why we need buttermilk is pretty much the sake as how we use buttermilk. Its versatility and numerous functions are the reasons why we need buttermilk. 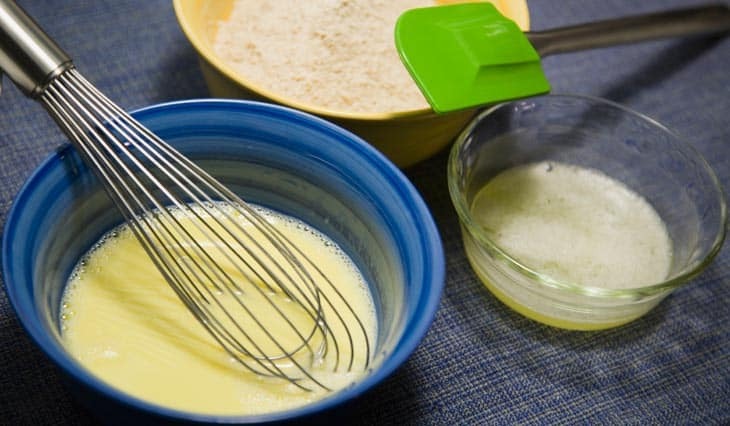 For example, when we are talking about breads and pancakes, buttermilk plays a key role in making sure that the batter will be lightened and tenderized. It also leaves your food tasty. This is because when the buttermilk reacts with the baking soda inside the batter, the sourness of the buttermilk gets cancelled. All these leave your pastries tastier than ever. Sometimes, there is no available buttermilk at our disposal. For this reason, we need to turn to other methods that can help us get our hands on the next best thing to buttermilk. 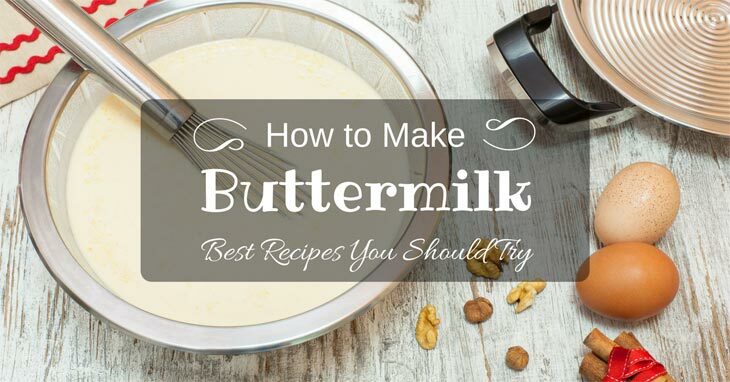 There are lots of possible alternatives for buttermilk. As long as they are another dairy product with a small level of acidity added. Below are different alternatives you can use as a substitute for buttermilk. What makes buttermilk able to perform its functions well is the acid found in it. This is because it is the acid that is responsible for leavening the dough. It is able to do this once it interacts with the baking soda found in the recipe you are making. Moreover, this occurrence also allows the dough to rise up without any additional yeast. And despite no added yeast, the bread or dough still remains light and very fluffy. With that being said, all the substitutes stated above contain acid in them which makes them perform the functions of buttermilk. Aside from that, just like buttermilk, these alternatives are also able to replicate buttermilk flavor approximation. 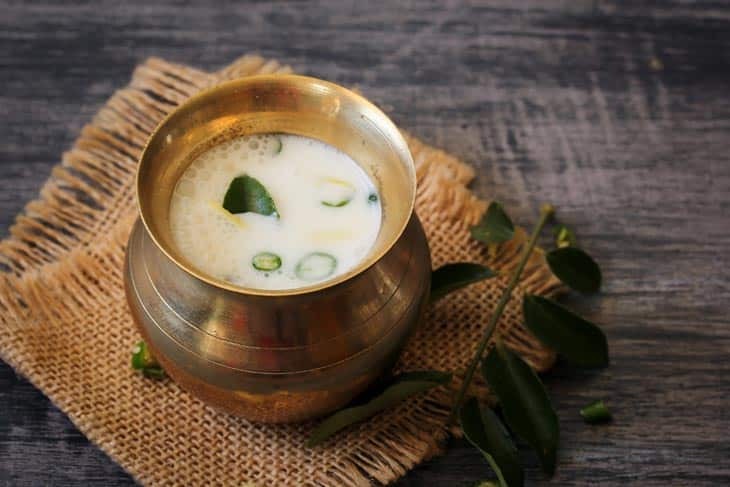 So now that we have tackled the different substitutes for buttermilk, let us now move onto the different ways in which you can make your own buttermilk. There are four methods in which you can do this. Your chosen way will be dependent on how soon do you need to have it and for what recipe are you gonna use it. The first two we will be discussing will just take about ten minutes. But the two methods which will be discussed latter will take about a day and that is if you want a real cultured buttermilk. This method is fairly easy and quick. However, this method will not yield you results of a real cultured buttermilk. Instead, this will give you an acidified buttermilk. The acidified buttermilk can be used for making biscuits or pancakes. Your acidified buttermilk should activate the baking powder or soda. Set aside one cup of milk. Pour into your one cup of milk your one tablespoon of either lemon juice or vinegar. Let it stand alone at around ten minutes. Make sure it is at room temperature. Stir well after. If you need more amount of buttermilk, you can add more milk and lemon juice. Just make sure to keep your ratios proportional. This method only entails three easy and quick steps and only two ingredients. This is also recommended for those that pressed for time! Set aside one-fourths cup of milk. 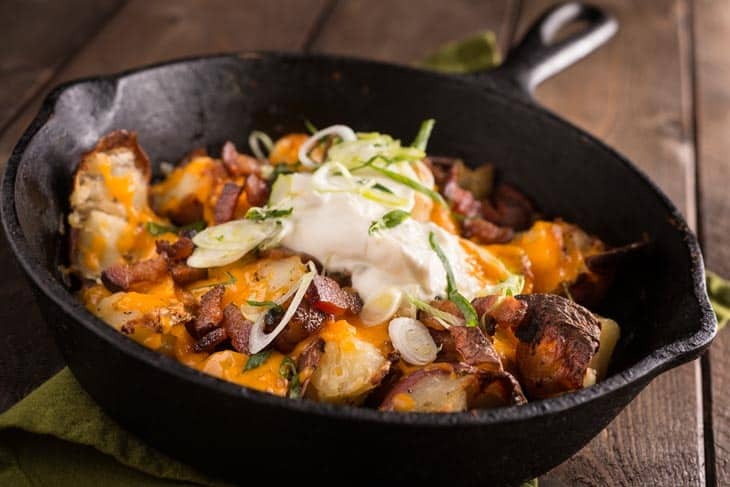 Take out three-fourths of either yogurt or sour cream. Thin out your chosen medium with the one-fourths cup of milk. You may also choose to use water in place of the milk. Now, let us move onto the last two methods which will give you a true cultured buttermilk. Remember that the following methods will take time, unlike the previously mentioned methods. Pour your three fourths cup of cultured buttermilk into your glass jar. Then proceed to add your three cups of whole milk into the jar. It will be better if the buttermilk is also fresh. This is because the live cultures found in the buttermilk have the tendency to be more active if the buttermilk is fresh. After all, close the jar tightly. Make sure it is sealed tightly. Then sake it thoroughly to make sure the mixture will be blended well. Next, just let the jar stand alone. Make sure it is at room temperature. The specific ideal temperature would be around seventy to seventy seven degrees in Fahrenheit. Let this happen for about twenty four hours. Within twenty fours, you can expect your buttermilk to have thickened in consistency. Just like a true buttermilk, you can also expect the mixture to leave a residue in the jar. 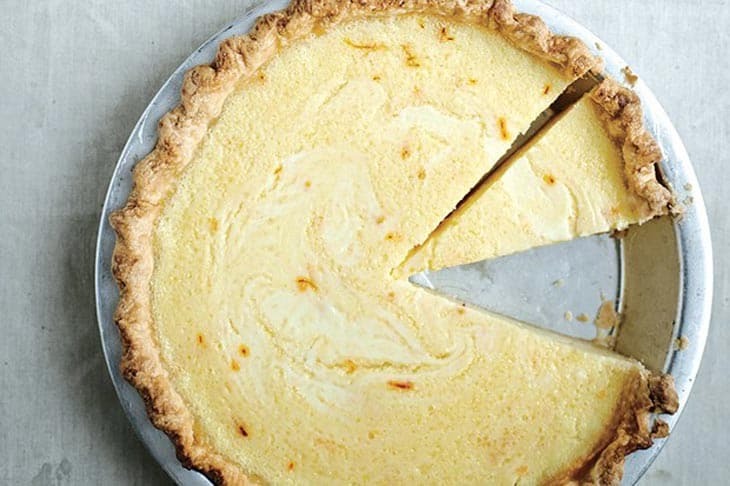 When you taste the buttermilk, it should also resemble a pleasant flavor of tart. Afterwards, you may start using it right away for whichever purpose it may serve you. If not, you may opt to store it inside the refrigerator where you can preserve it for a couple of weeks. Remember that the keynote to remember is the ratio which is 4:1. This is essential to takenote of, most especially if you plan to increase the amount of buttermilk. Last method is also pretty fairly easy. All you need are some buttermilk cultures plus some carton of whole milk! Just keep in mind that will also take time. Just gather enough milk. Use an amount that is equal to the amount of buttermilk that you wish to get your hands on. 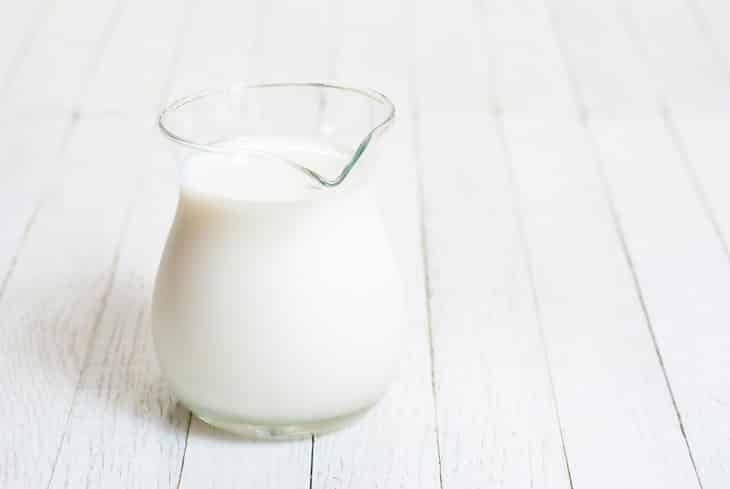 In a bowl or glass or any container you wish to use, combine your whole milk with your active buttermilk cultures. Stir it and afterwards, seal it closed. Let it sit out for over half a day up to twenty four hours. Whether you went ahead and buy fresh buttermilk in the grocery store or you actually handmade and concocted your own buttermilk, there is always a big possibility that you will have some leftover buttermilk. Some people opt to throw it away, either onto the trash bin or down the drain or their sinks. I used to do this but that is until I discovered two possible things you can do when you have leftover buttermilk. First, pour your buttermilk into freezer-friendly plastic bags such as zip locks or into a container that you can seal. Just make sure that for each container, there is only around one cup of buttermilk in it. This is to ensure that the plastic bags will not leak or explode due to the heavy amount. Once, you need buttermilk again, you can just take those containers out of the refrigerator and defrost the buttermilk. Afterwards, it will all be ready for use again. The second option that you can do is a bit more exciting, in my own opinion. You can use your leftover buttermilk and make some homemade crème fraîche. Below is a step by step guide you can use to make this easy recipe. 1. Prepare one bowl or a medium sized container. Pour the heavy cream and the two tablespoons of buttermilk. 2. Combine the two using a mixer. 3. Cover it up with a tidy kitchen cloth and let it sit for about twelve up to sixteen hours. Make sure the place is warm. Do this until the consistency has thickened. 4. Uncover and stir. You may store it inside the refrigerator until needed. 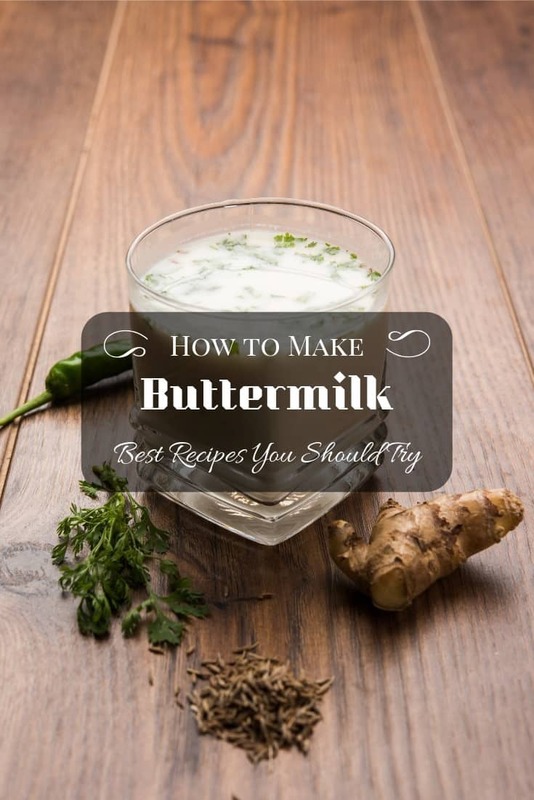 How to make #buttermilk – best recipes you should try in your kitchen. Breakfast is almost like an intimate ritual best shared with loved ones like family. 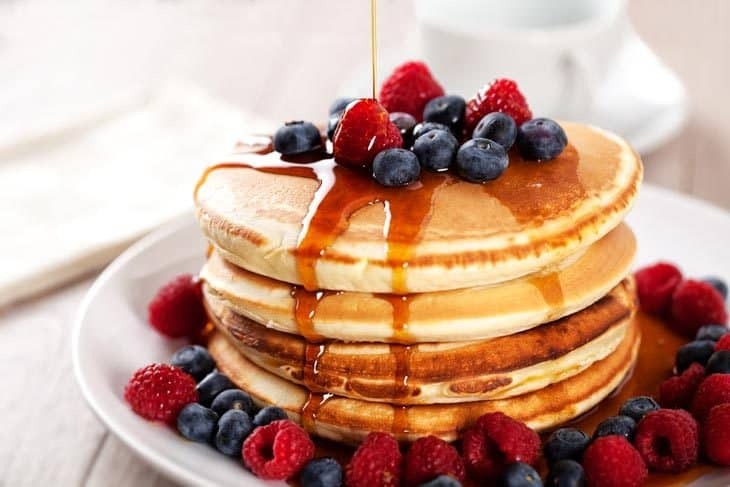 And what better way to celebrate your lovely mornings that with a good ol’ set of fluffy pancakes. But this time, spice up your breakfast with Blueberry vanilla buttermilk greek yogurt pancakes. 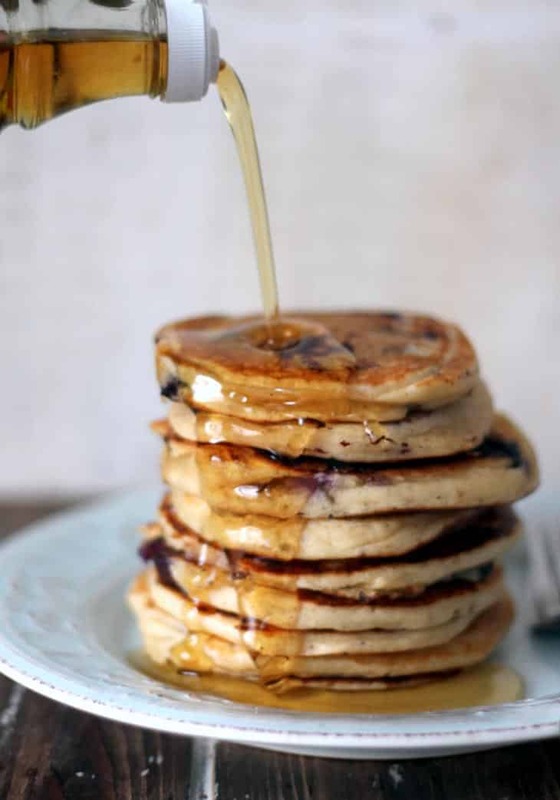 The acidity of buttermilk adds some unique tanginess to the taste of the otherwise normal pancakes. And just for an added twist, you are also going to be using some added blueberries and additional vanilla. Biscuits are pretty sane and normal. 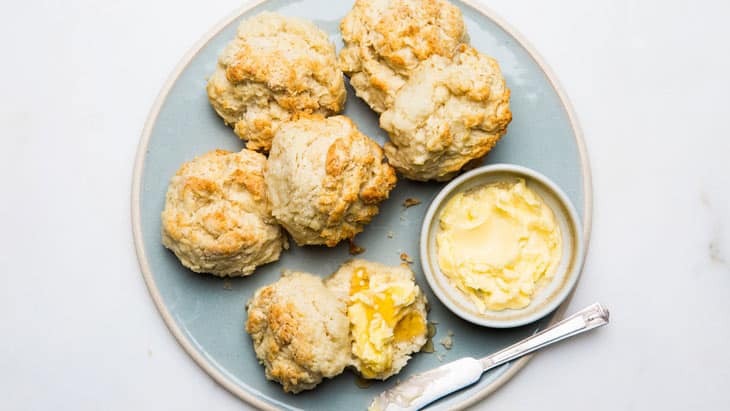 But with the Three ingredient buttermilk biscuit recipe, your life will never be the same again. This recipe will give you that perfect set of delicious and flaky buttermilk biscuits. And you can have all these with just three ingredients. First, the flour. Cut in the shortening after. And finally the holy grail, buttermilk. 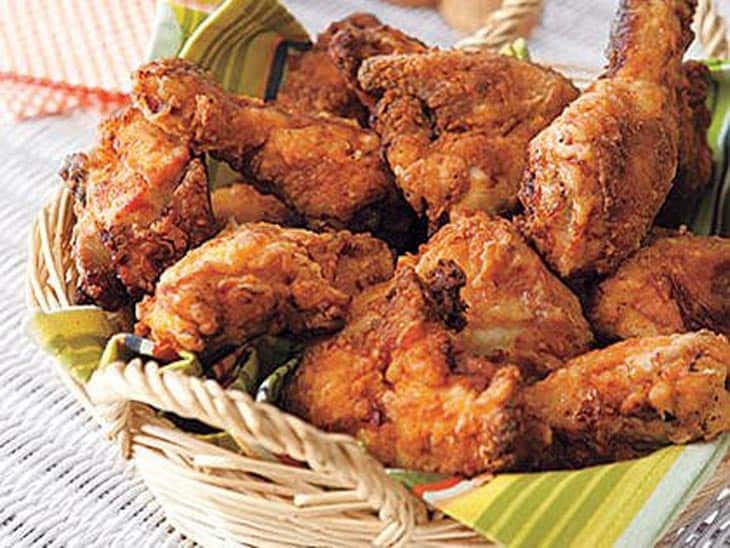 Who does not love fried chicken? From seniors to parents to young adults to teens and to kids, fried chicken will always remain a classic favorite. But this time, opt to add a simple twist to your daily plain fried chicken. Choose to coat and soak your chicken in a buttermilk mixture for that added taste. Then season with some salt and pepper. All you will need are some flour, cornstarch, paprika, salt and pepper and of course, buttermilk. 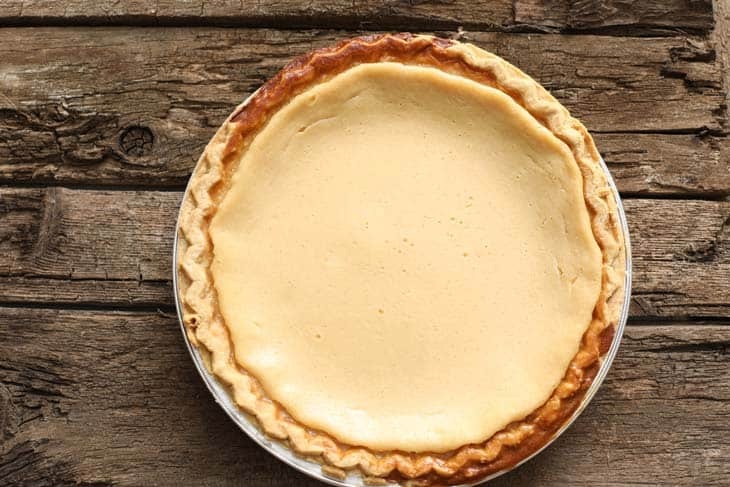 Whether it is homecoming or a Thanksgiving occasion, pies are always a good idea when it comes to celebrating family affairs. And what better way to celebrate that with this lemon buttermilk pie with saffron. 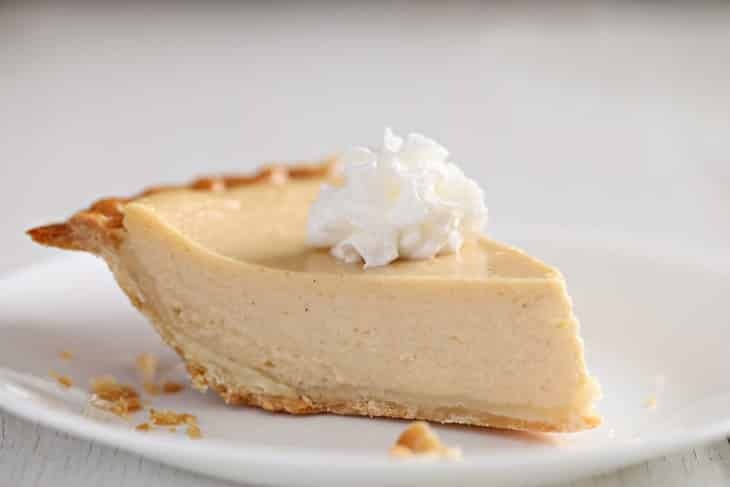 This pie is bursting with flavors and coms with an amazing creamy texture. You can really taste that tangy lemonish flavor to it. But do not be fooled, it is not your typical pie. The saffron really adds some uniqueness to it. What is a snack without its accompanying dip? Nothing, indeed. Part of what makes finger foods such as onion rings amazing is the dip or sauce with which you soak it in. It just brings out more the umami flavor of your rings. Now, why not try to add some twist to your classic onion dip? 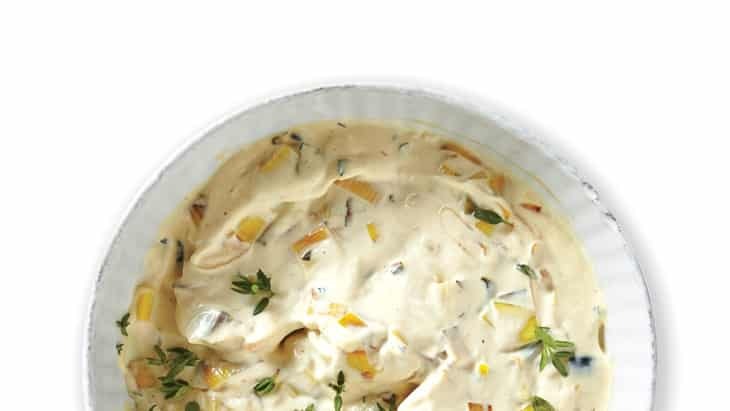 Bring out your mayonnaise, sour cream, thyme, and of course the buttermilk among some others and create this yummy dip. Craving for strong and firm biscuit concoctions? 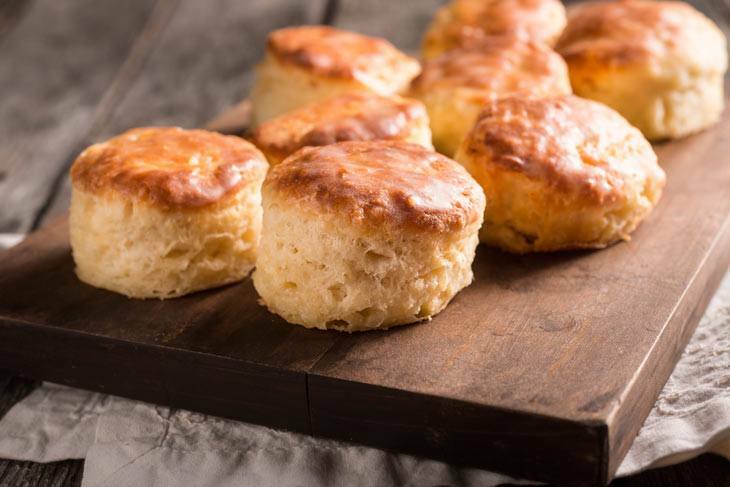 You will never go wrong with this Eastern Carolina Style Biscuits. It surely won’t crumble and the best part about this is that it required only a few ingredients. 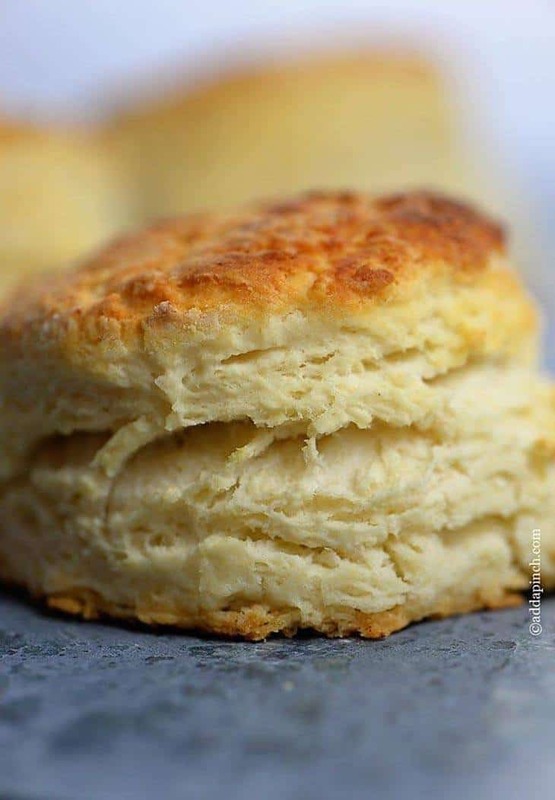 Just make sure you have some flour, baking powder, kosher salt, lard and of course buttermilk and you will be on your way to making this biscuit of a lifetime. These pancakes are the less complicated and complex sister of the first pancakes. However, nevertheless, this set of pancakes are just as cool. 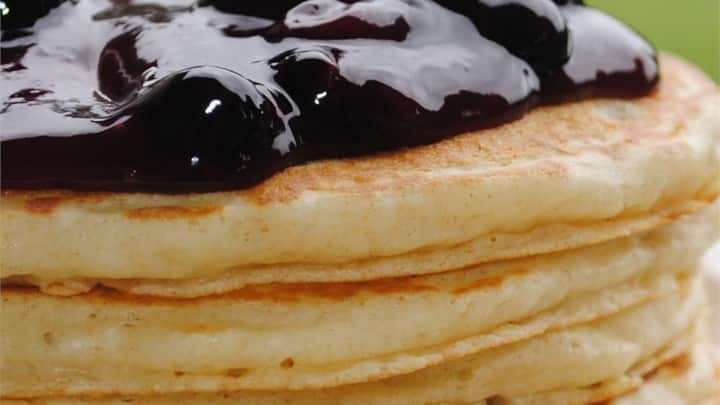 With just a simple alteration which is by adding buttermilk to the batter, you are bound to get yourself a pancake that is bursting in flavors and much tastier than your typical pancakes. Care for some refreshments? Or maybe you want to feel full but not spend so much time and money on making a full meal. 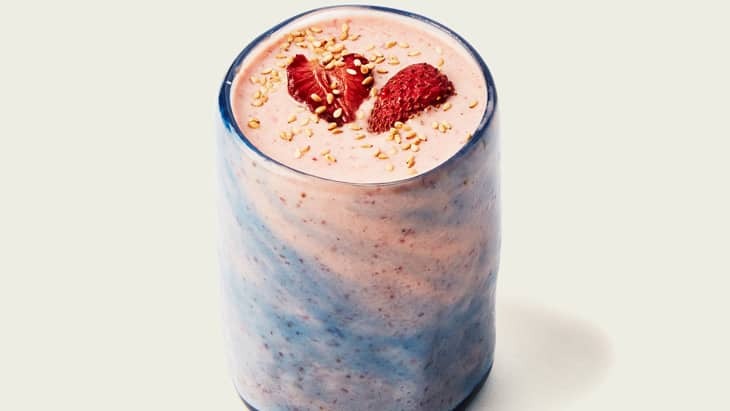 Well, this Roasted Strawberry and Tahini Buttermilk Shake has got you covered. It is guaranteed to feed you well with only a short time and short list of ingredients. Just get yourself some strawberries, banana, salt, tahini and buttermilk. Life is too short to live a life without dressing to dip your snacks into. 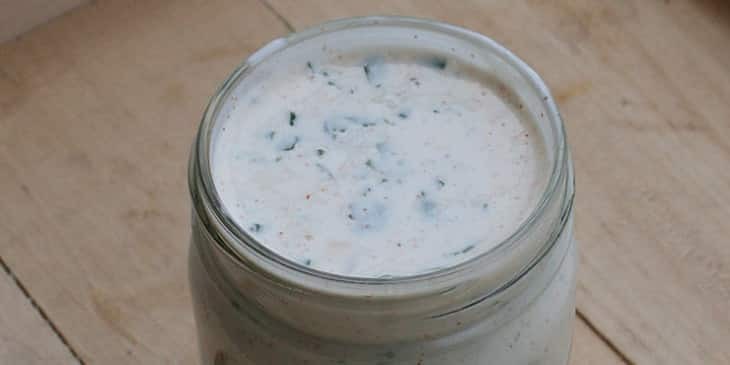 With this quick and easy recipe that will yield you a universal dressing with this Buttermilk Ranch Dressing. You will just need a couple of ingredients like chives and lemon juice among some others. Finish off by seasoning with salt and pepper. Just do not forget to chill first before serving. Guaranteed, you can dip a wide range of snacks like onion rings and veggies. Ever wondering what goes well with the Charred Onion Dip? 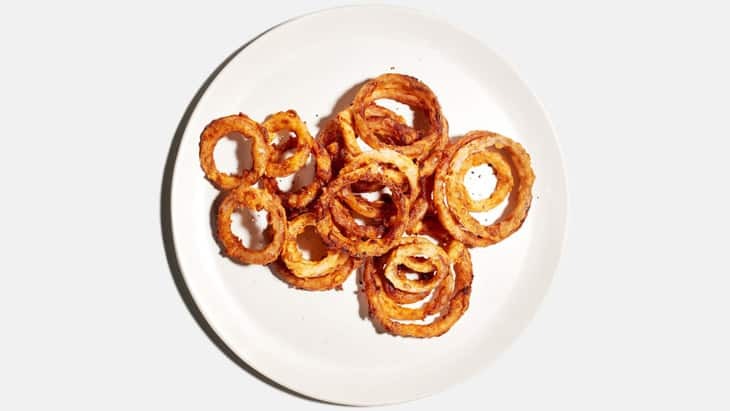 That’s right, have yourself some Butter-Fried Onion Rings. These onion rings are guaranteed to make any film you are watching it with a sure blockbuster! All you have to do is to soak your raw onion rings in buttermilk and then some. And what you will be left with is some crispy goodness. Aside from buttermilk, be sure to have some flour, butter and pepper ready. What to do with leftover buttermilk substitute? According to Gemma Stafford from Bigger Bolder Baking, if you plan on using lemon juice or vinegar as a substitute and you have some leftover, you may opt to store it in the freezer for the meantime just like what you can do with buttermilk. You may keep it for around three days. How long should I let the mixture sit when making buttermilk substitute? 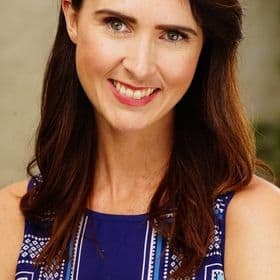 According to Monique from Ambitious Kitchen, after you combine the milk with your choice of either lemon juice or vinegar, let it sit first for around five minutes or just enough to make sure the mixture has already curdled. This is a sign that the mixture has already turned acidic. What milk works best when creating buttermilk substitute? 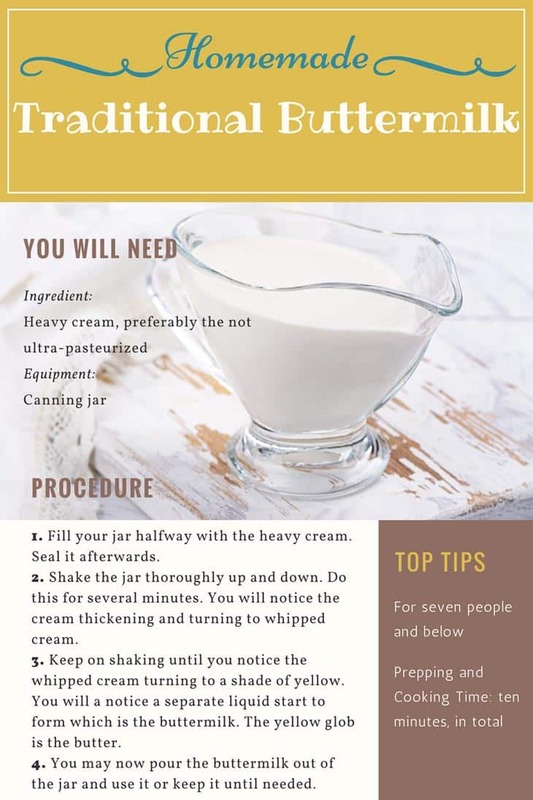 According to Nigella, what works best with recipes like thus are either full-fat milk or reduced fat milk since the consistency of non-fat milk has a tendency to turn watery. 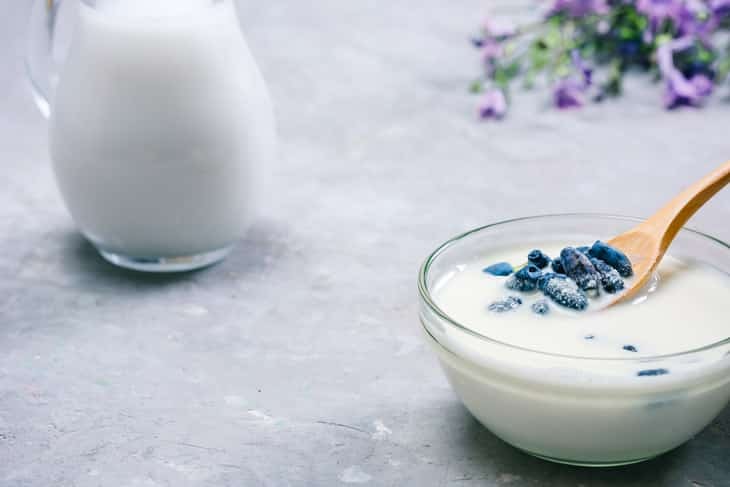 Furthermore, she has also stated that if you opt to use yogurt or more specifically, Greek Yogurt, make sure you get only equal quantities in between Greek Yogurt and milk. How can I tell when buttermilk goes bad? Buttermilk typically lasts for about seven days but you can prolong its life up to two weeks by refrigerating it. It will retain its acidic taste but will lose that buttery flavor once it turns bad. Is buttermilk better than milk? Buttermilk contains more nutrients than milk and is less in fat. It is also easier to digest. Are buttermilk substitutes just as good as the actual buttermilk? Substitutes are only the next best thing to true buttermilk but of course, they still do their job quite well. If you favor a larger proportion of breadcrumbs as coating, you may opt to use chicken tenders in place of chicken breasts. It’s time for some self-pampering and to spoil yourself with buttermilk as a bathing product. Soak for fifteen minutes. Keep in mind that buttermilk can only be stored in the refrigerator for about two weeks. Do not use too little of sour cream or yogurt when making buttermilk. Always remember that for every quarter of water or milk, you will need three fourths of sour cream or yogurt. For the methods stated above, some people opt to use the long method which entails active cultures and a longer period of time when they only have a short amount of time available. Remember that time available is crucial. Buttermilk, indeed, can be used to provide a variety of recipes. This is because it contains a whole lot of benefits such as more nutrients, helps to produce more flavor, tenderizes meat and it is also a leavening agent. 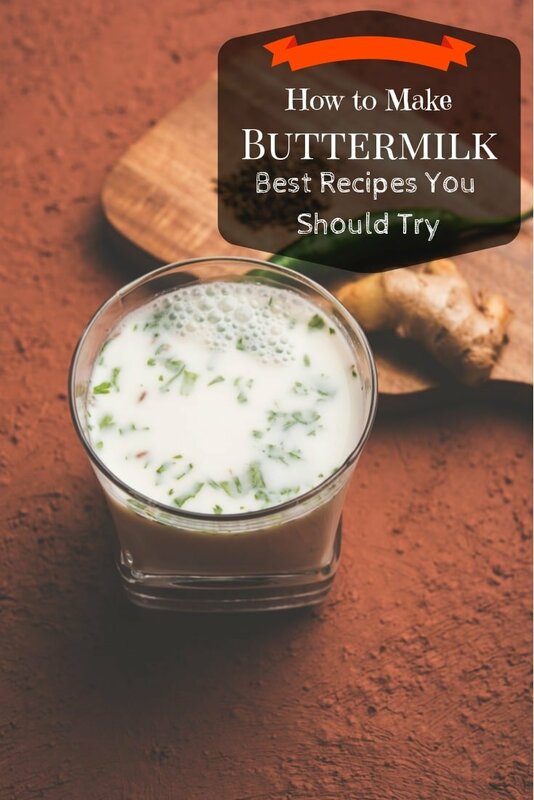 But in the event that buttermilk is unavailable, there are other substitutes you can use to replicate most of the benefits that buttermilk provides. This can be with the use of lemon juice or yogurt among many others. Furthermore, there are so many dishes you can cook with buttermilk and if you have some leftover buttermilk, you can opt to preserve it. 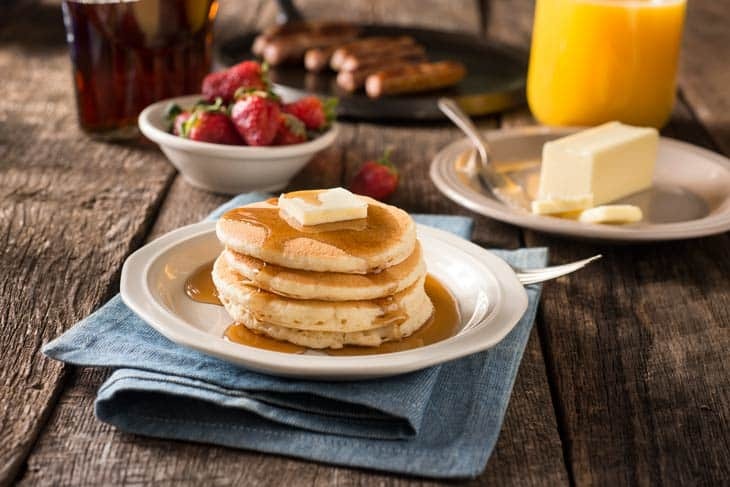 Whatever it is, with buttermilk, you’re always the winner. Thanks for posting this article about buttermilk. The recipes also look so delicious! I’m definitely going to try those!